In the year 2042, Sierra Waters, a young graduate student in Classics, is shown a new dialog of Socrates, recently discovered, in which a time traveler tries to argue that Socrates might escape death by travel to the future. Thomas, the elderly scholar who has shown her the document, disappears, and Sierra immediately begins to track down the provenance of the manuscript with the help of her classical scholar boyfriend, Max. The trail leads her to time machines in gentlemen's clubs in London and in New York, and into the past--and to a time traveler from the future, posing as Heron of Alexandria in 150 AD. Complications, mysteries, travels, and time loops proliferate as Sierra tries to discern who is planning to save the greatest philosopher in human history. Fascinating historical characters from Alcibiades to William Henry Appleton, the great nineteenth-century American publisher, to Hypatia, Plato, and Socrates himself appear. The death of Alcibiades was one of key moments of ancient history. He was indeed set upon in the company of a concubine, and fought naked with a sword in hand. 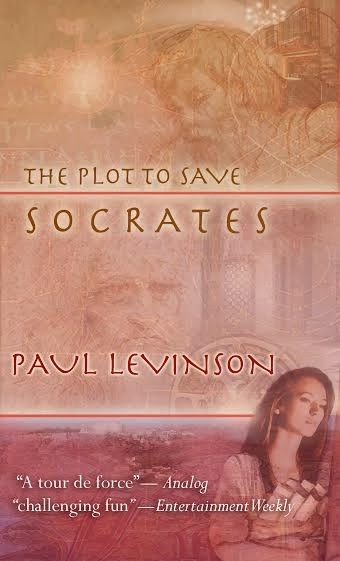 I really enjoyed writing the scene, with its different outcome, for The Plot to Save Socrates. As Socrates’ beloved student, Alcibiades would have no doubt played a crucial role in any plot to save his mentor. Alcibiades woke up suddenly. He sighed, started to fall back asleep, then heard the sound again. He had been sleeping, naked, half on top of a Persian woman, also naked and sound asleep on her stomach. He had met her just this afternoon -- or was it already yesterday afternoon? He could not recall exactly when they had met or her name. He moved himself carefully -- not to avoid waking her, because, with the amount of wine she had consumed, it might well take a thunderclap in her ear to wake her. He moved slowly off of her back and over on to his own because he did not want to make any noise that might give him away, and let any possible intruder know he was here and awake. Alcibiades now quickly and quietly got to his feet and looked around. A figure stepped forward from a far corner. Alcibiades looked for where he had left his knife -- alas, it was on the other side of the unconscious Persian beauty. He looked at her flowing hair and cursed. He had gotten up on the wrong side of their bed. "There is no need for weapons, I assure you, not now," the figure stepped closer and said, in a very peculiar yet comprehensible Greek. "Why? My situation is hopeless?" Alcibiades looked around the room. "No," the figure said. "Just the opposite -- I'm here to save you." "I will explain later. For now, you must ready yourself." The figure looked at the supine form. "She has attractive lines." Alcibiades smirked. "Are you a Pythagorean?" "In a manner of speaking, perhaps yes." The two walked into an adjoining room, and took seats at at an empty table. "Are you hungry?" Alcibiades asked. "I could eat. Thank you. But we must be quick." Alcibiades rose, opened the door to a different room, and summoned a slave. "You enjoy the Phrygian hospitality?" the visitor inquired. "Are you still thinking about that lovely line in the next room, or the food and drink to come?" "Well, then, I should say that I do very much enjoy the hospitality, but I loathe being in this Persian land. I intend to return to Athens shortly." "That is precisely why your life is in danger tonight," the visitor said. "Oh? You have yet to tell me from whom." "I am not sure," the figure answered. "History says the Spartans are behind this. You have some enemies in Athens, too, as you know. But those specifics really do not matter. Your beloved mentor, Socrates, will be sentenced to death by his own people -- your people, those same Athenian people -- in five years. Were I not here, you would meet your death tonight. In a sense, you still will -- except, I have a plan that will also enable you to live." The slave returned with fruit, bread, knives, and wine. Alcibiades took a knife, as if to cut a fruit, then swiftly moved around the table and put the knife to his visitor's neck. He held him close with his elbow and other arm. Alcibiades was lean and about 45 years of age. The visitor was at least 20 years older and softer. The visitor was at a disadvantage. Paul Levinson, PhD, is Professor of Communication & Media Studies at Fordham University in NYC. His nonfiction books, including The Soft Edge (1997), Digital McLuhan (1999), Realspace (2003), Cellphone (2004), and New New Media (2009; 2nd edition, 2012), have been translated into ten languages. 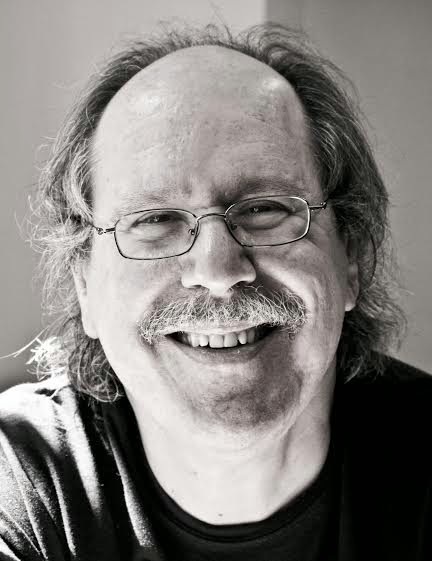 His science fiction novels include The Silk Code (winner of Locus Award for Best First Science Fiction Novel of 1999, author’s cut ebook 2012), Borrowed Tides (2001), The Consciousness Plague (2002, 2013), The Pixel Eye (2003), The Plot To Save Socrates (2006, 2012), and Unburning Alexandria (2013) - the last two of which are historical as well as science fiction. He appears on CNN, MSNBC, Fox News, the Discovery Channel, National Geographic, the History Channel, NPR, and numerous TV and radio programs. His 1972 LP, Twice Upon a Rhyme, was re-issued in 2010. He reviews television in his InfiniteRegress.tv blog, and was listed in The Chronicle of Higher Education's "Top 10 Academic Twitterers" in 2009. For more about Paul Levinson, find him on his blog, browse his books on Amazon, follow him on Twitter @PaulLev .